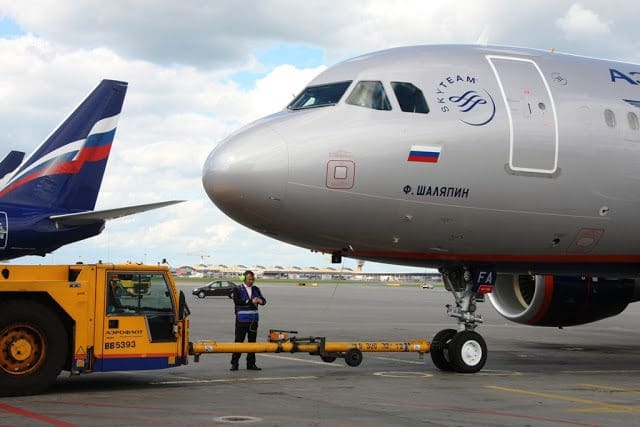 Russia’s Aeroflot will expand its reach across the former Yugoslavia this coming winter season with new flights from Moscow to Ljubljana, as well as additional frequencies to Belgrade and Zagreb. The airline has put on sale flights between the Russian and Slovenian capitals, with services to commence on October 28. The carrier will maintain daily flights between the two which will complement the seven weekly services operated by its codeshare partner Adria Airways. Flights will run with the 87-seat Sukhoi Superjet 100 aircraft, featuring twelve seats in business class and the remaining 75 in economy. In 2017, a total of 48.271 passengers flew between Ljubljana and Moscow on board Adria, which was up 12.9% on the year before. Aeroflot will introduce a third daily service to Belgrade for a total of 21 weekly flights from October 28. The additional daily frequency will depart Moscow in the afternoon. It comes after Red Wings Airlines became the third carrier to maintain operations between the two cities last month. Red Wings is yet to schedule flights for the winter but has previously said it plans to expand its Belgrade operations with daily flights in 2019. Russia continues to be one of Belgrade Airport’s biggest markets. Both Air Serbia and Aeroflot have a wide-ranging codeshare agreement in place. Together, the two airlines will maintain 29 weekly flights between the two cities this winter, increasing to 32 weekly operations during the holiday season in late December and early January.